Project Pressure | Visualizing Climate Change, using glaciers as they are key indicators. 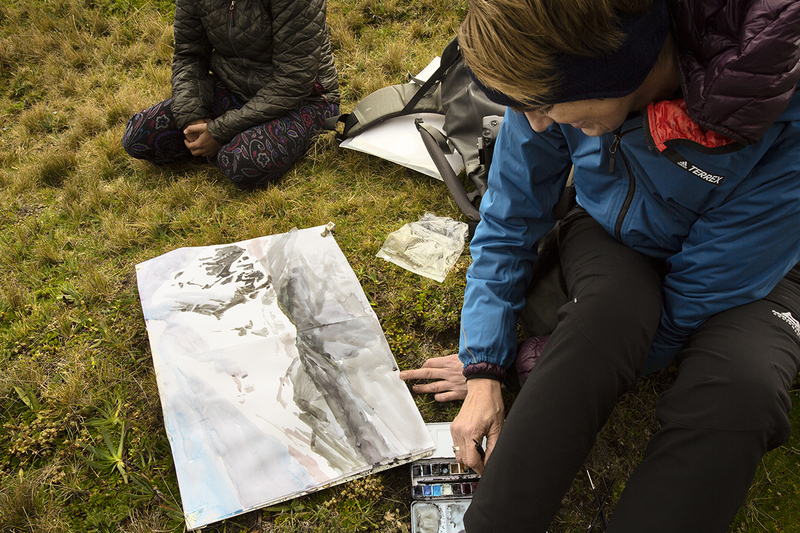 The aim of Project Pressure is to visualize climate change, using art as a positive touch point to inspire engagement and create behavioural change. The posters launched at the We Don’t Have Time Climate Conference on Earth Day 22nd of April relate to vanishing glaciers to demonstrate the impact of climate change. Unlike wildfires, flooding and other weather events, glacier mass loss can be directly attributed to global climate change, and as such they are key indicators. The images by Corey Arnold, Edward Burtynsky, Simon Norfolk and Klaus Thymann are overlaid with surprising facts, providing an informative and unexpected journey for the viewer. On Earth Day, 22nd of April Project Pressure will premiere a poster campaign in collaboration with We Don’t Have Time. At 15.00 CEST live streaming will start from the We Don’t Have Time Climate Conference, with the theme Together we are the solution. During the event Project Pressure’s new campaign will be shown for the first time ever. Project Pressure Director Klaus Thymann together with prominent guests Prof. Jeffrey D. Sachs, Ph.D. Per E Stoknes, Ph.D. Katharine Hayhoe, Filmmaker Peter Modestij, Youth activist Jamie Margolin, Youth Activist Tianna Arredondo, Author Kate Raworth and Dr. Sweta Chakraborty will discuss the art of effectively communicating the climate crisis, the leading role of the climate youth movement, and the connection between individual lifestyle choices and major systemic change. 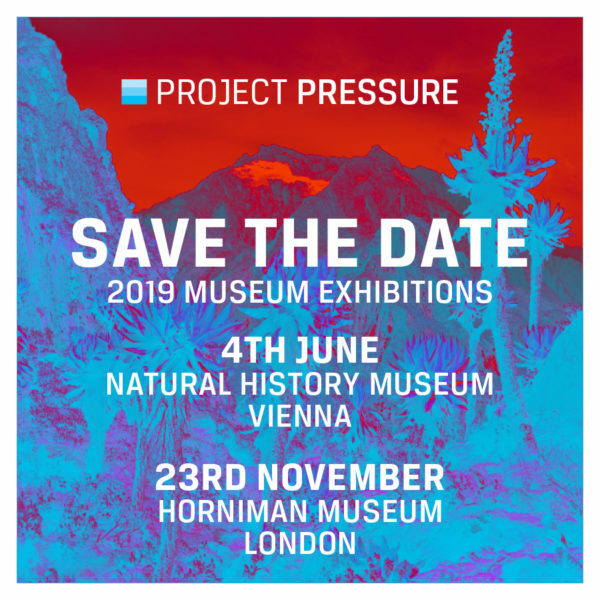 Since 2008 Project Pressure has been commissioning world-renowned artists to conduct expeditions around the world, and for the first time these works will be shown together as MELTDOWN, a travelling exhibition premiering at the Natural History Museum, Vienna. Project Pressure uses art as a positive touch point to inspire engagement and behavioural change. The selected artworks in MELTDOWN relate to vanishing glaciers, to demonstrate the impact of climate change through various media. Unlike wildfires, flooding and other weather events, glacier mass loss can be 100% attributed to global temperature changes and as such, they are key indicators of climate change. 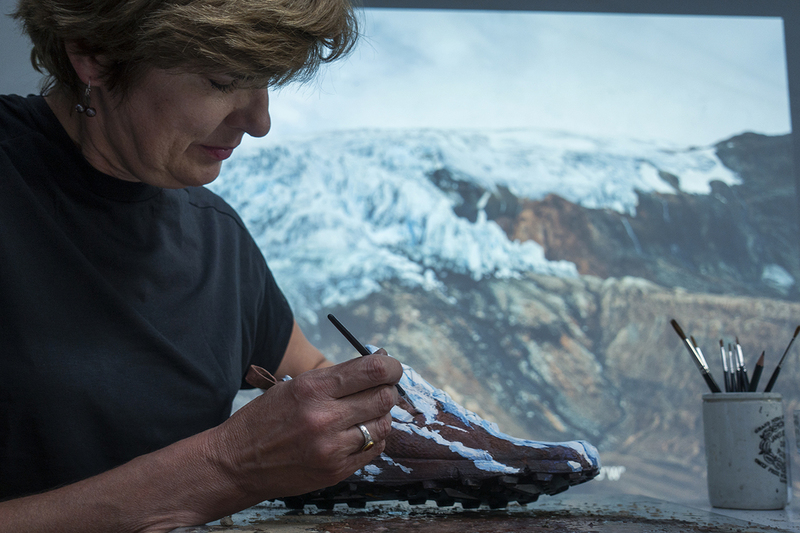 The exhibition is a narrative of the importance of glaciers told in a scientific, illustrative and poetic way and each artist has a unique take on the subject. MELTDOWN shows scale from the planetary level to microscopic biological impact, and considers humanitarian suffering and more. Together the artistic interpretations in MELTDOWN give visitors unique insights into the world’s cryosphere, its fragile ecosystem and our changing global climate. Featured artists are: Corey Arnold (US), Michael Benson (DE), Adam Broomberg (ZA) & Oliver Chanarin (UK), Edward Burtynsky (CA), Scott Conarroe (CA), Peter Funch (DK), Noémie Goudal (FR), Adam Hinton (UK), Richard Mosse (IE), Simon Norfolk (NG), Christopher Parsons (UK), Toby Smith (UK), and Klaus Thymann (DK). The second stop for our travelling show will be Horniman Museum and Gardens, London, opening the 23rd of November. More information to follow. 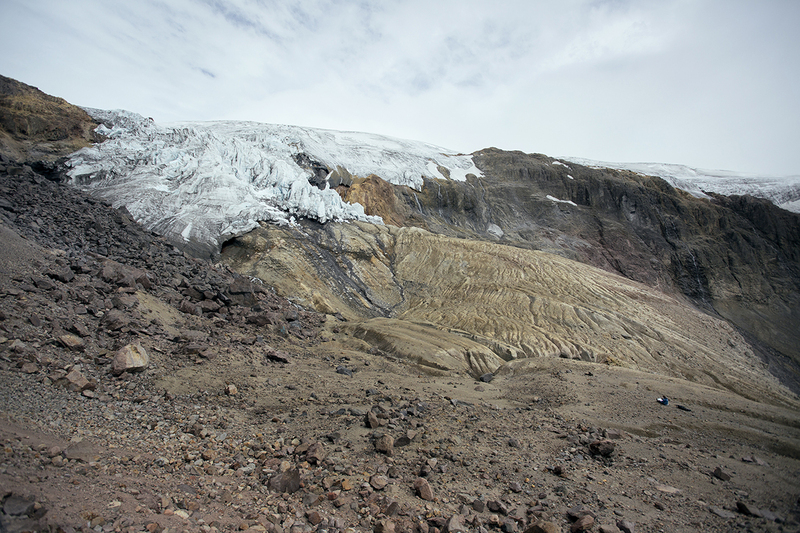 The glaciers in Ecuador are receding due to climate change. We look at mountains and panoramas and we assume our surroundings are immutable and resilient, when we are in fact experiencing a rapid change in Earth’s landscapes. 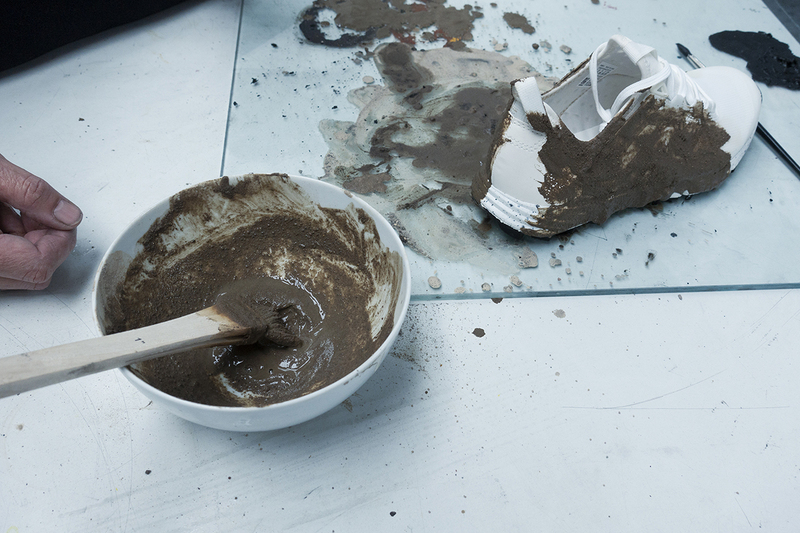 Project Pressure is collaborating with Emma Stibbon to see how she as an artist creates work inspired by the changing environment. 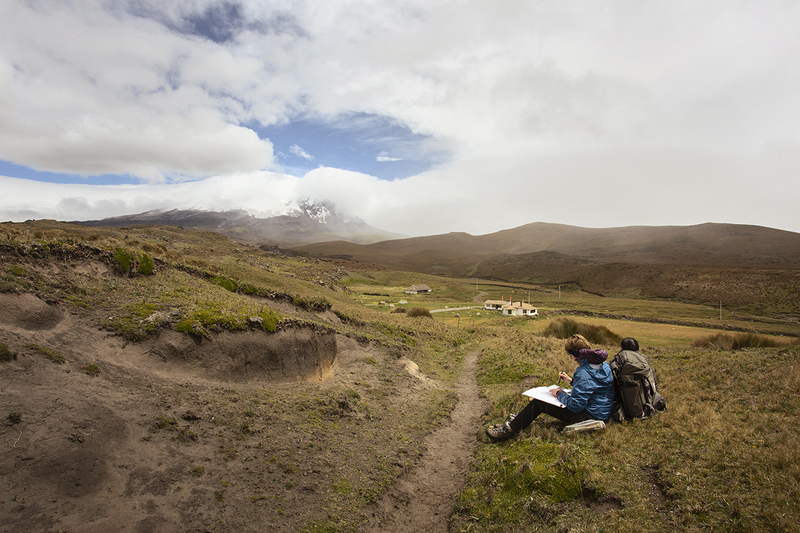 With the glaciated sites in Ecuador Stibbon felt she wanted to say something about the extraordinary scenery but also point to the poignancy of the fact that the changes in the landscape will be witnessed within her own lifetime. 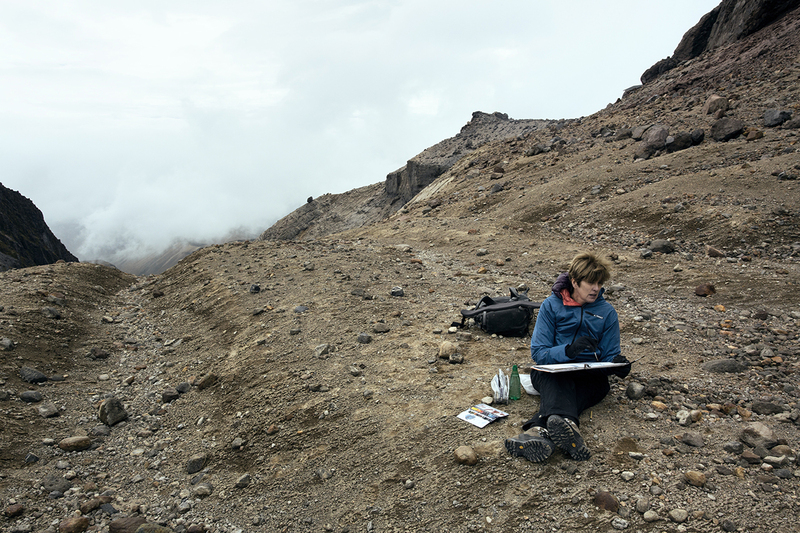 The team travelled to Ecuador visiting multiple glaciers at high altitudes up to 5100 m where Stibbon created sketches and collected soil that was used to make pigment for the drawings she created in her studio upon returning. 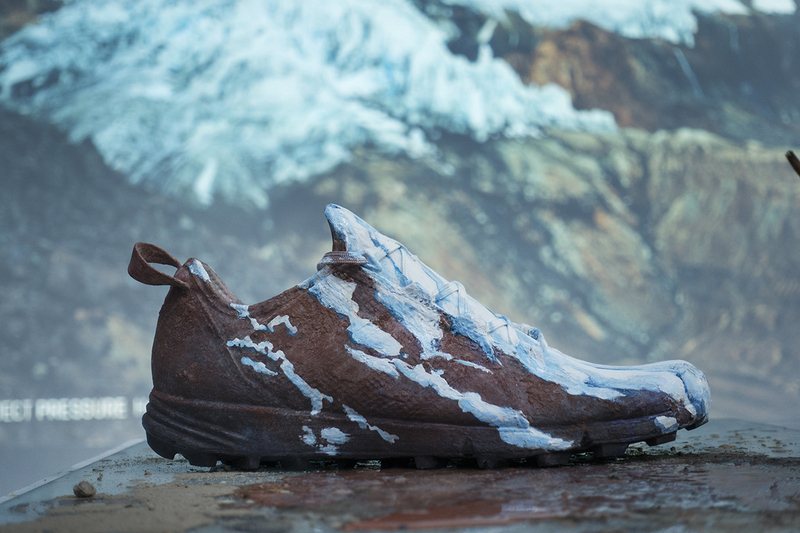 The “A Blank Canvas” project was made possible through a collaboration with Adidas TERREX. Klaus Thymann wrote and directed the film as well as created the still images.